Dave Bautista spent a huge portion of 2018 rallying around his friend James Gunn, who’d been fired by Disney from directing Guardians of the Galaxy Vol. 3. That resulted in the Marvel sequel getting indefinitely delayed. Now, Bautista has found a way to spend his time, since Guardians 3 was supposed to be shooting this year. The WWE Superstar turned actor will be taking on a role in the Dune remake, which will star Timothee Chalamet in the lead role. The movie will serve as a mini Blade Runner 2049 reunion between Bautista and that film’s director Denis Villeneuve, who is locked into do this new adaptation of the Frank Herbert sci-fi novel. Dune is happening at Legendary. Denis Villeneuve will be directing from a script he co-wrote alongside Eric Roth and Jon Spaihts. Mission: Impossible actress Rebecca Ferguson has also signed on. No other actors have been announced for the project yet. Bautista’s character has not been confirmed. Legendary has been working to get Dune off the ground since 2016, when they closed a deal with the Frank Herbert estate for the remake. The studio was granted rights to do both film and TV projects based on the property. This movie will be the first out of the gate and it’s being produced by Villeneuve, Mary Parent, and Cale Boyter, with Brian Herbert, Byron Merritt, Thomas Tull, and Kim Herbert serving as executive producers. Kevin J. Anderson is coming in as a creative consultant on the reboot. The story takes place in the distant future and follows Paul Atreides. His family is now in control of the desert planet Arrakis, the only producer of a highly valuable spice. Paul and his family are betrayed by competing noble families out to secure the resources for their own. The narrative will explore themes of ‘politics, religion, and man’s relationship with nature, as Paul leads a rebellion to restore his family’s reign’. Though Guardians of the Galaxy 3 has been pulled off of Bautista’s slate for 2019, he has a very busy couple of months ahead. He will be starring in the 20th Century Fox comedy Stuber, which will go into production before Disney takes control of the studio. He also has the STX action comedy My Spy set to go. Though he has been very vocal about James Gunn’s firing, bashing Disney multiple times in the process, he will still be seen in this summer’s Avengers: Endgame reprising his role as Draxx, even though his character died as a result of Thanos’ Decimation in Infinity War. 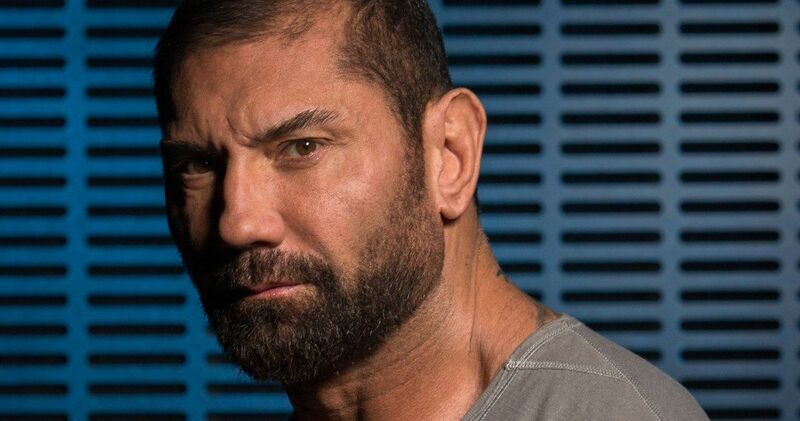 Dave Bautista was most recently seen in the limited release action sequel Escape Plan 2: Hades. Earlier this week, Marvel boss Kevin Feige said Guardians of the Galaxy Vol. 3 is still happening despite the delay. Bautista has stated many times that he doesn’t want to be a part of the sequel if Gunn doesn’t come back, though he is still under contract to return.